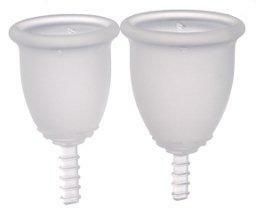 This medical-grade silicone cup is designed and made in france and widely available for purchase online. It features a peach-skin texture on the outside to make it easier to grip and a thicker stem to make it easier to remove. It is the standard bell-shape and has air holes to improve the suction.